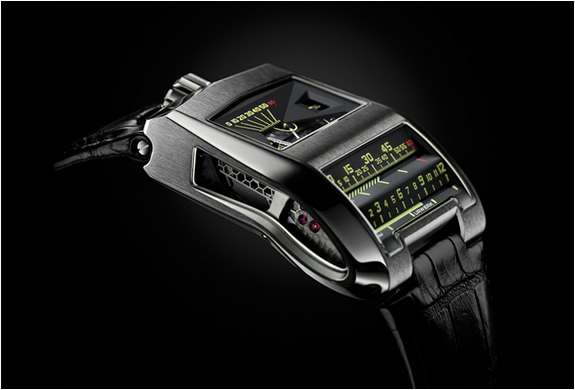 Urwerk have unleashed the "Black Cobra,” the newest model of the CC1 series. 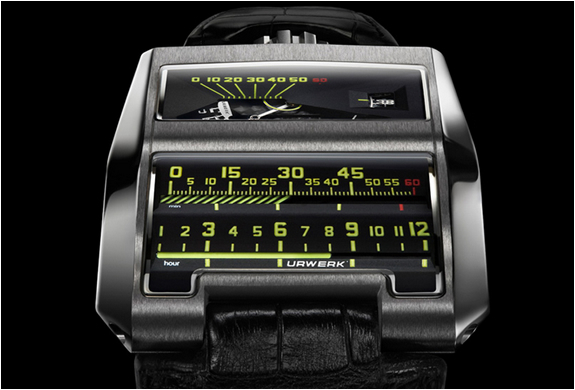 The UR-CC1 is a peerless timepiece - outside of even URWERKs own collection - requiring ten years of development followed by further three years perfecting the micro engineering of its mechanics, as rare and exclusive as it is exceptionnal. 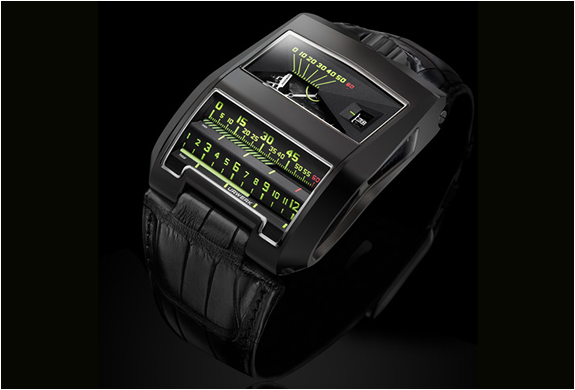 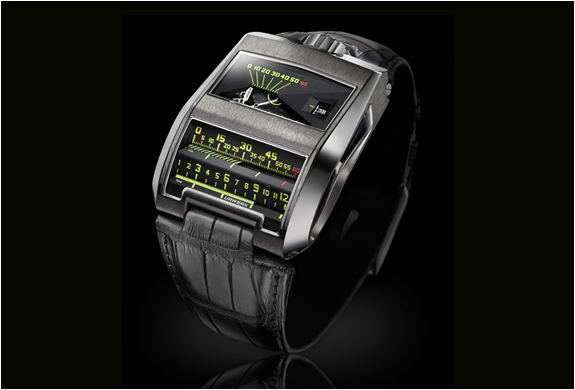 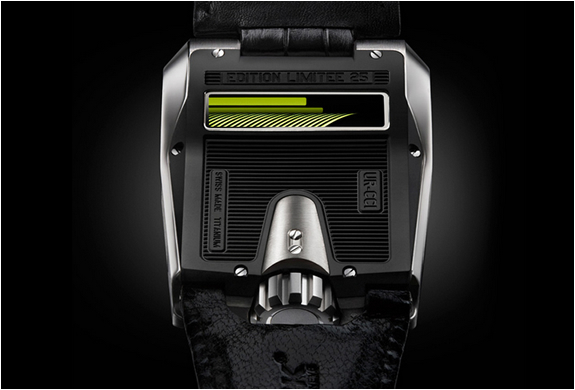 Urwerk shows the time on two separate horizontal lines–one for the hours and the other for the minutes. 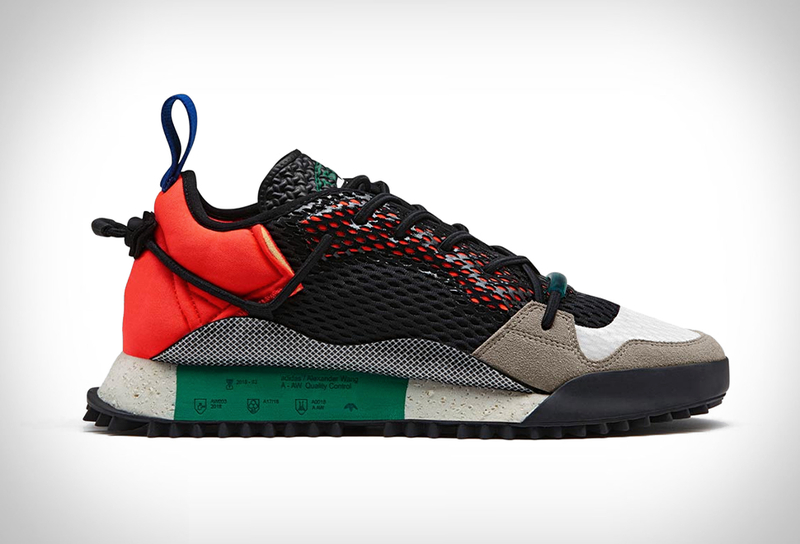 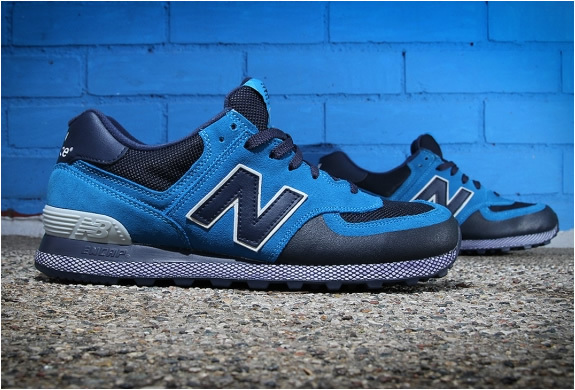 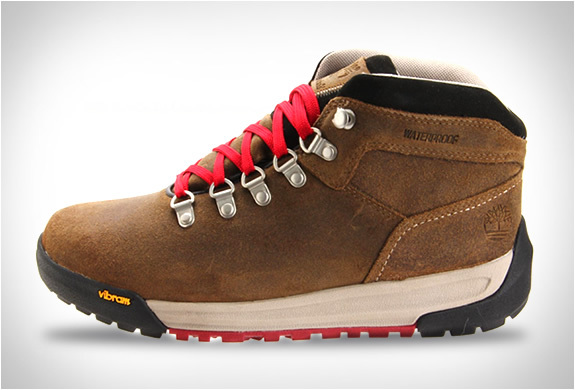 Limited edition of 25 units.